Macomb County - What Can Laser Eye Surgery Fix? What Can Laser Eye Surgery Fix? 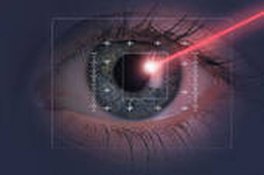 Laser eye surgery is one of the most popular methods to treat vision problems. These surgeries are very effective and eliminate the necessity for contact lenses or spectacles. There are several conditions that laser eye surgery for patients in Macomb County can rectify such as refractive errors or problems caused due to the imperfectly shaped cornea or eyeball. The cornea lies in the front of the eye. It is transparent and helps bend and focus light that enters the eye. When a person has refractive errors, the light entering the eye becomes imprecisely focused, resulting in a blurry image. Refractive errors can occur in healthy eyes, causing problems in a person’s vision. What are the different kinds of refractive errors? Myopia or nearsightedness When a person has this condition, they can clearly see objects close to them, but find it hard to clearly see objects in the distance. In this condition, the corner is usually highly curved or the eyeball appears to be longer than usual. In these cases, instead of being focused on the cornea, images are focused on the retina instead. Hyperopia or farsightedness In this condition, the person can see distant objects clearly, but objects close them appear blurred. The eyeball is normally shorter or the cornea appears to be lesser curved or flat. This condition causes images to skip the cornea and focus behind the eye’s retina. Astigmatism: This condition causes people to have blurry despite the distance of the objects. When people have astigmatism, their lens, cornea, or sometimes both are misshapen such that images fail to focus clearly on their retina. Presbyopia or aging eye: As people age, their eyes slowly lose their ability to change focus clearly. Normally, this condition occurs in people who are between 40 and 50 years old. People with this condition are warned against refractive surgery because it cannot correct their problem entirely. It can improve distance vision, but in some cases, it has been known to worsen near vision. Laser eye surgery is highly effective and is known to have close to a 99 percent success rate. However, if you are considering this surgery, it is important that you see a professional ophthalmologist or surgeon who can clearly instruct you on the procedure, recovery, and potential risks involved.